In our latest learning PRINCE2 poster we look at what a PRINCE2 Principle is. We also examine the Manage by Stages principle, which provides senior management with control points at major intervals throughout the project. 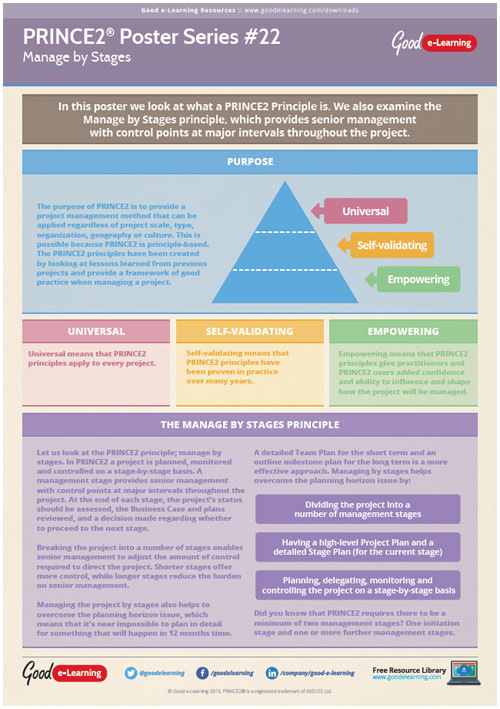 Download your copy of the latest in our series of Learning PRINCE2 posters to find out how the Manage by Stages principle can benefit you and your organization today!